Anyone who follows the stock market will tell you that bonds are doomed because US interest rates and inflation will head higher in coming months. The Federal Reserve continues to roll back its extraordinarily accommodative policies of the past five years, sending the yield on the 10-year Treasury note to 2.7 percent from 1.6 percent in May 2013. Corporate borrowing rates remain near multi-generational lows, but have ticked up from year-ago levels. And the US dollar has rallied against most major currencies in anticipation of rising interest rates. For these reasons, I fully expected to join the crowd of bond bashers when I sat down to write this week’s edition of Income Insights. Although fears of a selloff in dividend-paying stocks appear to be overblown, the fortunes of bonds and preferred shares–both of which pay a fixed coupon–can fluctuate dramatically with interest rates. And the 14 closed-end funds that specialize in these securities appear to be poised for a fall. Whereas a mutual fund always sells for its net asset value (NAV), closed-end offerings trade on major stock exchanges and almost always fetch a premium or discount to the value of their underlying portfolios. Many of the closed-end funds in our table borrow against their portfolios to juice their yields and better compete for investors’ attention. All too often, investors gravitate toward these investment vehicles for their above-average yields while ignoring their price to NAV. The Upshot: Closed-end bond funds have significant downside exposure to rising interest rates. Not only does the value of their underlying fixed-income portfolios drop when interest rates rise, but their hefty leverage also translates into higher borrowing expenses. This double threat can put the fund’s dividend under pressure and send panicked investors scurrying for the exits. Conservative investors looking for exposure to fixed-income securities should stick with open-end mutual funds or individual bonds. At this juncture, most of the closed-end funds in our table have pulled back to reflect the bearish outlook for the bond market; joining the crowd of bond bashers no longer makes sense. Our table of closed-end bond funds highlights five metrics. Indicated Yield: The annual percentage return from dividends, assuming that the fund maintains its payout for the next 12 months. Leverage Ratio: Funds with elevated leverage ratios–total debt as a percentage of portfolio value–are at higher risk of a dividend cut when interest rates are on the rise. Dividend Growth: The year-over-year change in the fund’s dividend. 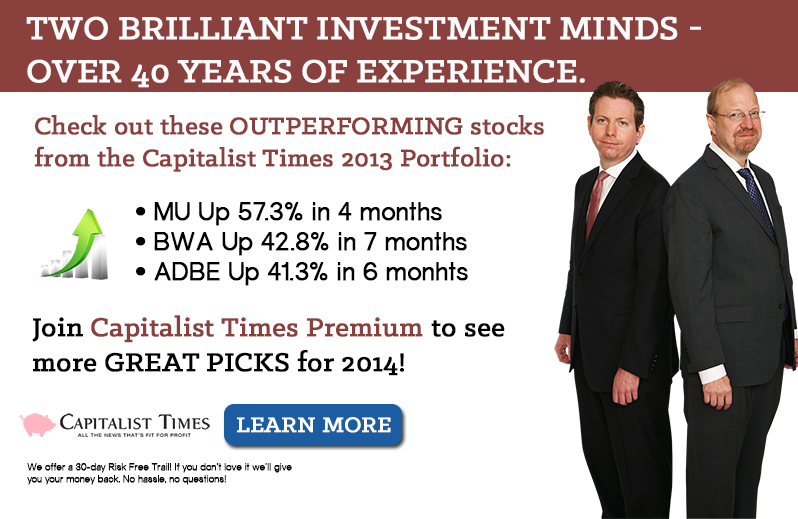 Four of the funds on our list have slashed their payouts, while two hiked their disbursements to investors. The rest have maintained their dividends. Premium or Discount to NAV: Net asset value is the total value of the fund’s holdings minus any borrowing against its portfolio. 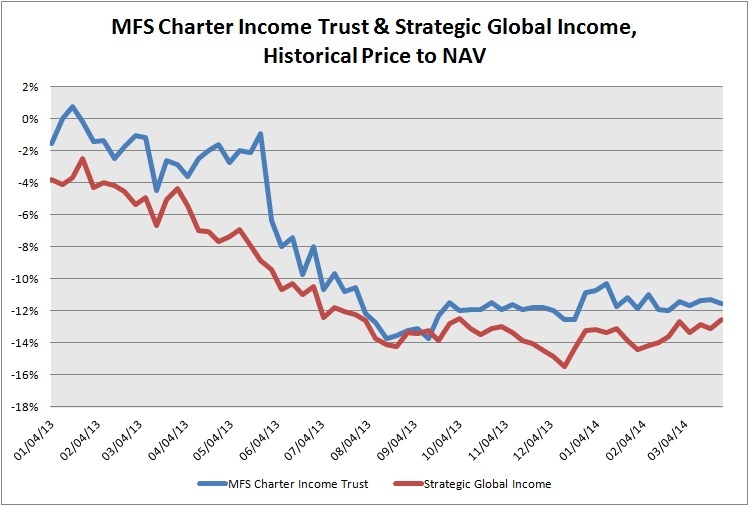 In general, investors should steer clear of funds that trade at a significant premium to their NAV. 12-Month Return: This is total capital gain or loss plus dividends paid for an investor who has held the fund for the past 12 months, with an end date of March 26. Income-seeking investors will likely focus on the lofty yields offered by many of these names. 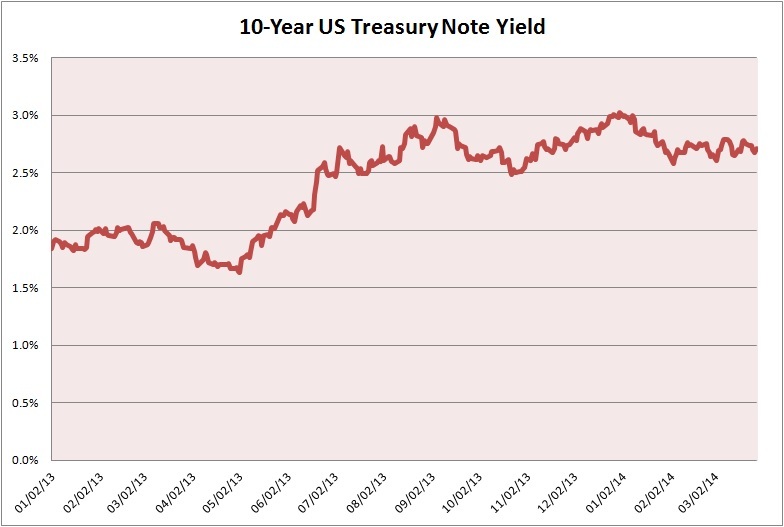 However, the leverage ratios on the highest yielders should be enough to curb your enthusiasm. With a 9.5 percent current return, PIMCO Strategic Income (NYSE: RCS) boasts the juiciest yield and a leverage ratio of 53.3 percent. The fund’s corporate and government-backed bond holdings involve low credit risk but also offer only modest yields; heavy borrowing inflates the payouts received by investors. 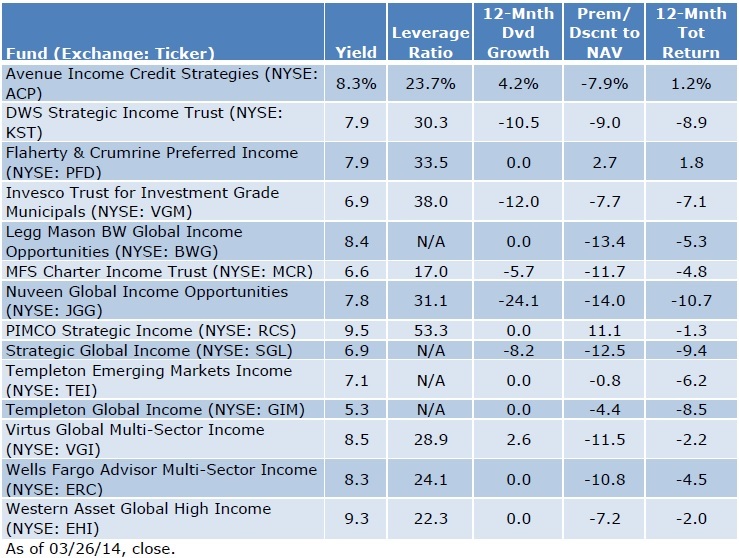 In contrast, MFS Charter Income Trust (NYSE: MCR) has the lowest yield on our list and, unsurprisingly, offers the lowest yield. Investors who remain swayed by these funds’ high yields should take a glance at the 12- month change in their dividends; only two have managed to grow their payouts over this time frame. And more cuts could be in the offing. With the exception of Nuveen Global Income Opportunities (NYSE: JGG) and Templeton Emerging Markets Income (NYSE: TEI), all the closed-end funds on our list pay a monthly dividend. Many of these closed-end bond funds have lagged the stock market over the past 12 months and now trade at a discount to NAV. 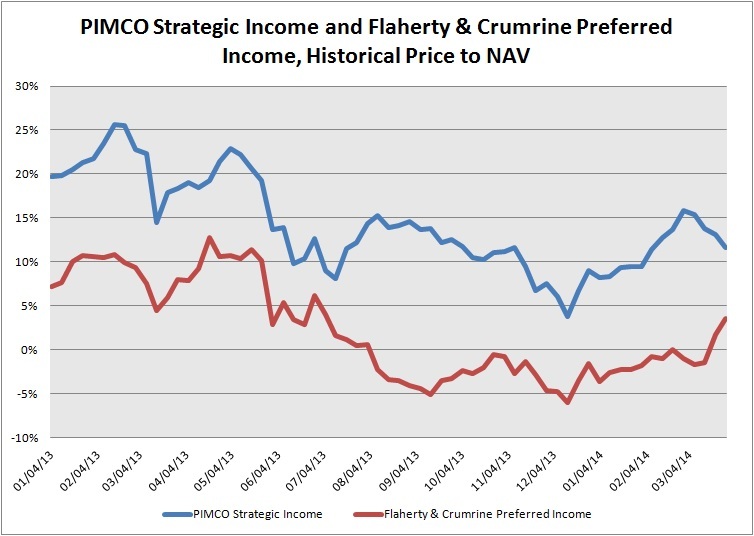 Only PIMCO Strategic Income and Flaherty & Crumrine Preferred Income (NYSE: PFD) trade at a premium to their underlying assets, though these valuations have come in significantly. By the same token, funds that traditionally have traded at a slight discount to value of their underlying assets have seen this valuation gap widen to the double digits. Over the past 12 months, the average closed-end fund on our list has given up almost 5 percent of its value, underscoring the recent pullback in this security class. Although investors may not be paying attention to these funds’ price to NAV, they have certainly reacted to worries about interest rates; regardless of the risks embedded in these funds’ portfolios, many of these former high fliers have returned to Earth. In Navigating the Municipal-Bond Minefield, we spotlighted Invesco Trust for Investment Grade Municipals (NYSE: VGM) as a buy for speculative investors willing to bet that the market had priced in the prospect of another dividend cut. In the intervening months, the closed-end fund has generated a total return of almost 10 percent, with price appreciation accounting for the majority of these gains. That being said, the triple threat of lost principal because of rising interest rates, leverage-triggered dividend cuts and widening discounts to NAV makes this fund suitable only for aggressive investors. For these reasons, I opted to add Vanguard Intermediate Term Tax-Exempt (VWITX, 800-997-2798) to Lifelong Income Portfolio, an actively managed basket of my favorite dividend-paying stocks that’s available exclusively to Capitalist Times Premium subscribers. Nevertheless, many closed-end funds have pulled back to valuations where they could be of interest to aggressive investors. Of course, prospective investors should do ample due diligence before jumping into these closed-end funds. 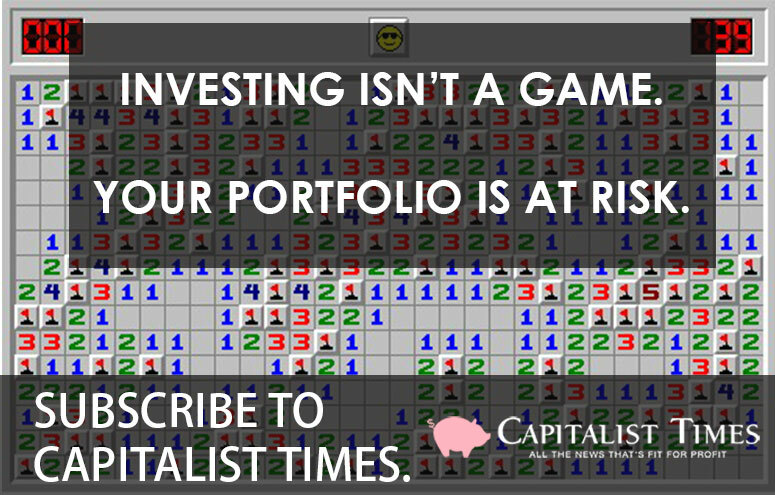 In a future issue of Capitalist Times Premium, I’ll examine these investment vehicles more closely, paying particularly close attention to their portfolio holdings, embedded credit and duration risk and the type of leverage each fund employs. Some funds have issued their own securities to lever up their balance sheet, insulating their borrowing costs from swings in interest rates. Other funds, however, still rely heavily on bank credit lines or even margin. And as we saw in 2008, rising costs can be devastating to dividends. Although I remain skeptical about most of these funds’ ability to weather rising interest rates without cutting their dividends, the recent pullback in this security class suggests that we could uncover a diamond in the rough.